Craig joined CeRDI in 2002. Prior to joining CeRDI, Craig worked in a Melbourne-based software company gaining valuable practical experience in the ICT sector. Craig specialises in the development and implementation of web-based projects as well as having significant experience in the development and delivery of comprehensive client training programs. 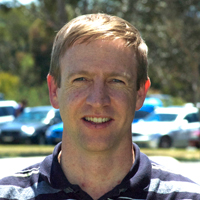 Craig completed a Bachelor of Computing at the University of Ballarat in 1999.